Canvas Wooden Stool. Size in cm : H 44 W 38 D 24. Weight 5.0 Kg. 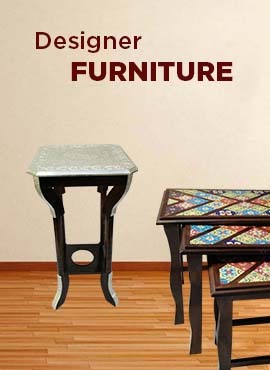 The set of 2 canvas wooden stools are designed by Indian craftsmen to give your home an added elegance. A light weight stool can be used in any space. It is comfortable for seating. It has height of 44 cm, Width 38 cm and Depth 24 cm. Its weight of 5.0 Kg is good to move it around.